SYOSSET, NY [OCA] The Fall Session of the Holy Synod of Bishops of the Orthodox Church in America was held at the Chancery from Tuesday, October 23, 2018 through Thursday, October 25, 2018. As reported earlier, the gathering opened with the celebration of the Divine Liturgy in Saint Sergius of Radonezh Chapel, at which His Beatitude, Metropolitan Tikhon presided, after which the OCA’s outgoing officers were especially recognized for their years of devoted service to the Church. The Holy Synod extended an invitation to the chancellors and treasurers to again participate in their first session at the Fall 2019 Session of the Holy Synod. At its second session, the Holy Synod heard reports from Metropolitan Tikhon on the Chancery restructuring, his proposal on a Church-wide youth program in relation to the funds raised at the 19th All-American Council and on the vetting process for potential episcopal candidates. The Holy Synod heard a report from His Eminence, Archbishop Benjamin, on plans for the celebrations of the 225th anniversary of the Alaskan mission to Kodiak and the 50th Anniversary of the glorification of Saint Herman and the granting of the Tomos of Autocephaly. A schedule was developed by which each of the OCA’s 13 dioceses will be welcomed in Alaska during a 13-week period throughout the anniversary year. The Holy Synod will gather in Alaska August 5-10, 2020 to commemorate the canonization of Saint Herman. The 50th Anniversary of the granting of Autocephaly will be marked by a Church-wide celebration at Saint Nicholas Cathedral, Washington, DC, later in the year. A commemorative book will be published in conjunction with the celebration. As recently reported, the Holy Synod approved the candidacy of Archpriest Alexander Rentel as the new Chancellor of the Orthodox Church in America, who will assume his new duties on January 1, 2019. Father John Jillions reported on his work as Chancellor. Included in his report was a presentation on the recently received $470,000.00 Lilly Grant for Clergy Peer Groups. 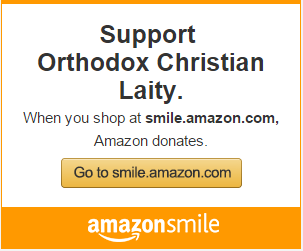 Archpriest Nicholas Solak, Priest Theophan Whitfield, and Hieromonk Nikodhim [Preston] further reported on the detailed plan for using the grant, which will be presented by the end of the year. Father Eric G. Tosi reported on a number of matters related to the 19th All-American Council and the Metropolitan Council and reviewed a number of administrative and management issues. He also reported on progress underway with regard to the Archivesrenovation project, for which contractor bids are being sought; the ongoing redesign of the OCA website; and other projects. Melanie Ringa presented the financial report for the last three quarters and the results of the external and internal auditors. She also presented the proposed budget for 2019, which was blessed by the Holy Synod. Judge E. R. Lanier, General Counsel, reviewed current legal matters. He reviewed the work on the question of civil marriage, the inviolability of confession as it relates to recent civil legislation and the formation of a mediation process within the Church. Together with Father Eric, he presented a new sexual harassment policy for parishes and institutions in New York State due to the recently passed legislation. This policy was adopted by the Synod and will be implemented for stavropegial parishes and institutions in New York State. The Diocese of New York and New Jersey will adopt a similar policy. Protopresbyter Leonid Kishkovsky presented the report of the Office of External Affairs and Interchurch Relations, in which he reviewed the current state of the world’s Orthodox Churches and focused on the current relationship between the Church of Russia and the Ecumenical Patriarchate with regard to the situation unfolding in Ukraine. The issue was discussed at length, and a pastoral letter will be made available in the near future. Also offering a report was Archpriest Daniel Andreyuk, Dean of the OCA Representation Church of Saint Catherine in Moscow, who further reported on the state of the Church and related developments in Russia. Cindy Heise reported on the work of the Office of Review of Sexual Misconduct Allegations and the Sexual Misconduct Policy Advisory Committee. She highlighted the “Clergy in Crisis” protocol and possible management scenarios and reported on the clergy wives’ survey, the results of which are being compiled. Archdeacon Joseph Matusiak presented a report on the work of the Stewards of the Orthodox Church in America, specifically focusing on Steward Sunday on October 28, 2018. The members of the Holy Synod approved the minutes of the Fall 2018 Session of the Metropolitan Council. Also approved was the new Social Media Policy for Clergy and Lay Leaders of the OCA, which the Holy Synod recommended for adoption by all dioceses. Internal auditors for the next triennium were approved. John Skrobat of the Diocese of New England and Dimitri Pletz of the Diocese of the West were reappointed to their positions, while Polly Walker of the Diocese of the Midwest will begin her tenure in the new year. 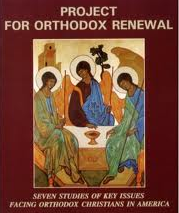 The work of the Board of Theological Education was reviewed by the Holy Synod, which approved the recommended list of candidates for ordination. Also approved was a draft statement on OCA Master of Divinity students at stavropegial seminaries, which will be released shortly. The Holy Synod heard reports on the work of the Orthodox Christian Fellowship by Deacon Alexander Cadman and the Eastern Orthodox Committee on Scouting by Father Eric Tosi. 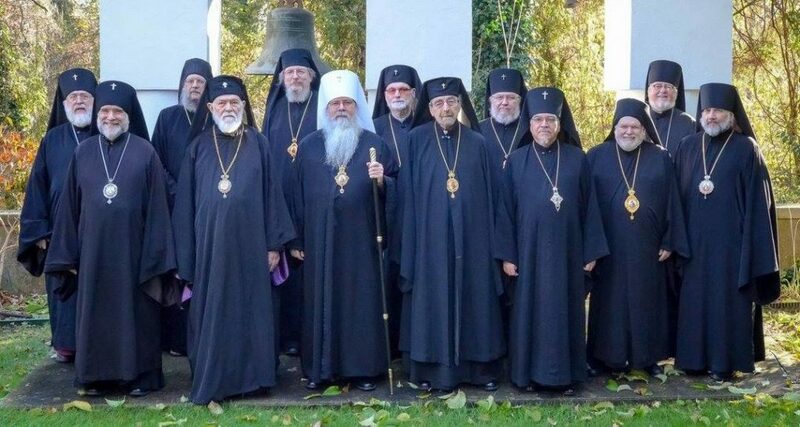 Metropolitan Tikhon reported on the reorganization of the Department of Evangelizationand reviewed the work of the Department of Continuing Education. The Holy Synod appointed the new membership for the Canonization Commission and established the membership of the Standing Synod for 2019. Joining Metropolitan Tikhon and His Eminence, Archbishop Michael, ex officio and Secretary of the Holy Synod, will be Archbishop Benjamin and His Eminence, Archbishop Irénée. A photo gallery may be viewed on the OCA website and Facebook page.